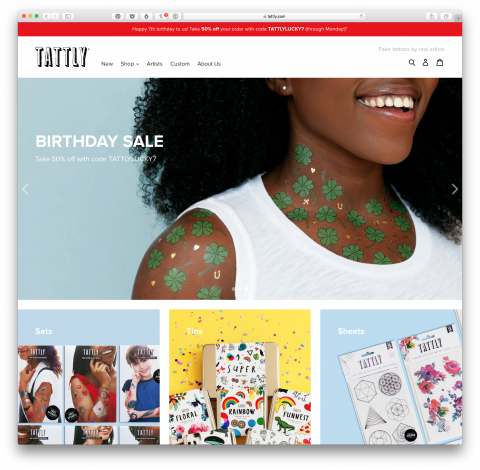 Once a year Tattly runs a totally bonanza 50% birthday sale. IT IS ON! And, while you’re browsing, you might want to know that our site is brand-new, launched last week, built by the fine folks of Lucid! Go try those filters! Wheee! Happy our 7th Tattly birthday to you!